US forklift firm Hyster-Yale is set to embark on a £5m expansion at its Craigavon factory amid a huge growth in warehousing across the UK and Europe. The US-owned group has been given the green light by Armagh, Banbridge and Craigavon Borough Council to extend its factory on Charlestown Road at Carn - already the biggest of the few remaining forklift manufacturing plants - by 61,000 sq ft. The company has been manufacturing forklifts in the Co Armagh town since 1981 and now employs 670 people at its 40-acre site. It says it needs additional space at the plant to manufacture a new line of forklift trucks. Hyster-Yale said the expansion will likely translate into new jobs at the factory, with a direct and indirect economic windfall, adding that the investment will help secure employment at the major Craigavon facility. The Craigavon plant is already capable of manufacturing over 100 forklifts per day, with over 15,000 units expected to be built this year. The company's primary market is Europe, the Middle East and Africa, with the market continuing to grow. Its workforce continues to grow as well, with the firm adding 100 new staff in the last three years. But despite the size of its EU market, the company has consistently declined to comment on the issue of Brexit. 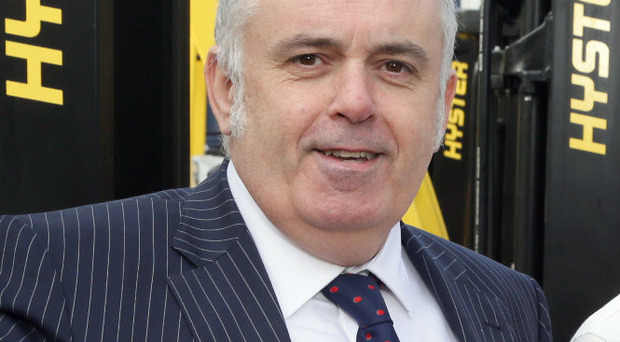 Stephen Kelly, chief executive of Manufacturing NI, said the worldwide growth in warehousing is driving demand for modern forklift trucks. "Hyster-Yale is benefiting from the huge growth in warehousing not just in the UK but across Europe and beyond. They also see a chance to increase market share from competitors," he said. "Portadown is an exceptionally well-run facility through their plant manager Jim Downey (left) and this latest investment comes on the back of introducing more technology on site, including robotic production lines, proving that automating and introducing innovative work practices can increase headcount as well as productivity." In its assessment of Hyster-Yale's plans, a report from Armagh, Banbridge and Craigavon Borough Council's planning department described the factory as the largest of the few forklift truck manufacturing plants remaining in the UK today. "The plant has been a true success story in Northern Ireland, now employing hundreds of people. "The work at the Craigavon plant has helped to set the standard for quality in manufacturing processes at Hyster-Yale's plants across the globe."